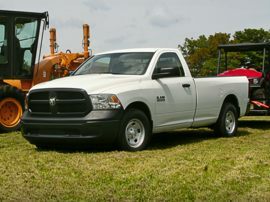 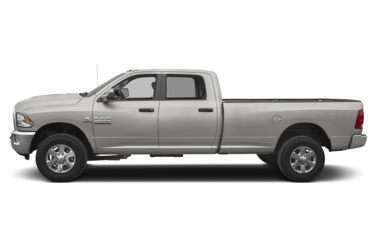 The standard features of the RAM 3500 SLT include HEMI 5.7L V-8 383hp engine, 6-speed automatic transmission with overdrive, 4-wheel anti-lock brakes (ABS), side seat mounted airbags, curtain 1st and 2nd row overhead airbags, airbag occupancy sensor, air conditioning, 18" styled steel wheels, cruise control, ABS and driveline traction control, four-wheel drive. 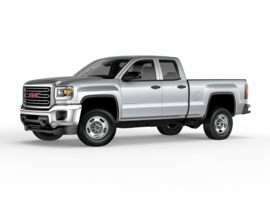 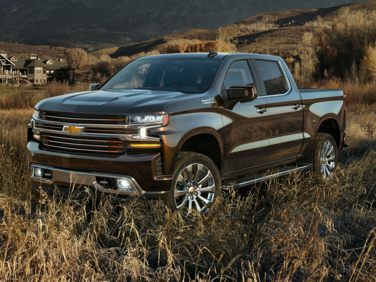 The standard features of the Chevrolet Silverado 3500HD LT include Vortec 6.0L V-8 360hp engine, 6-speed automatic transmission with overdrive, 4-wheel anti-lock brakes (ABS), airbag occupancy sensor, air conditioning, 17" steel wheels, cruise control, ABS and driveline traction control, four-wheel drive, electronic stability, power mirrors. 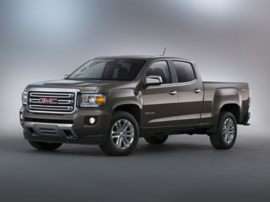 The standard features of the GMC Canyon Denali include 3.6L V-6 308hp engine, 8-speed automatic transmission with overdrive, 4-wheel anti-lock brakes (ABS), integrated navigation system, side seat mounted airbags, curtain 1st and 2nd row overhead airbags, airbag occupancy sensor, automatic air conditioning, 20" aluminum wheels, cruise control, ABS and driveline traction control. 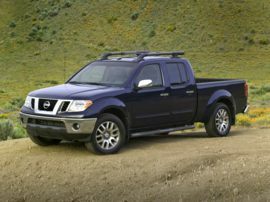 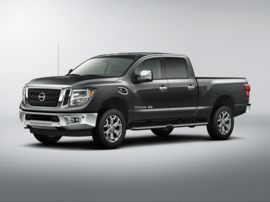 The standard features of the Nissan Frontier PRO-4X (A5) include VQ 4.0L V-6 261hp engine, 5-speed automatic transmission with overdrive, 4-wheel anti-lock brakes (ABS), integrated navigation system, side seat mounted airbags, curtain 1st and 2nd row overhead airbags, airbag occupancy sensor, automatic air conditioning, 16" aluminum wheels, cruise control, ABS and driveline traction control. 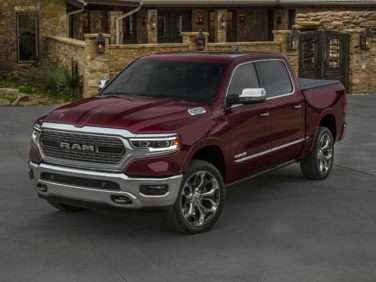 The standard features of the RAM 1500 Laramie include 3.6L V-6 305hp engine, 8-speed automatic transmission with overdrive, 4-wheel anti-lock brakes (ABS), side seat mounted airbags, curtain 1st and 2nd row overhead airbags, airbag occupancy sensor, automatic air conditioning, 18" aluminum wheels, cruise control, ABS and driveline traction control, four-wheel drive. 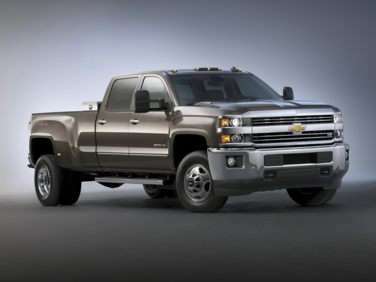 The standard features of the Chevrolet Silverado 1500 LTZ include EcoTec3 5.3L V-8 355hp engine, 8-speed automatic transmission with overdrive, 4-wheel anti-lock brakes (ABS), side seat mounted airbags, curtain 1st and 2nd row overhead airbags, airbag occupancy sensor, automatic air conditioning, 18" aluminum wheels, cruise control, ABS and driveline traction control, four-wheel drive. 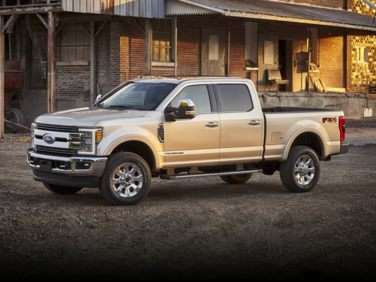 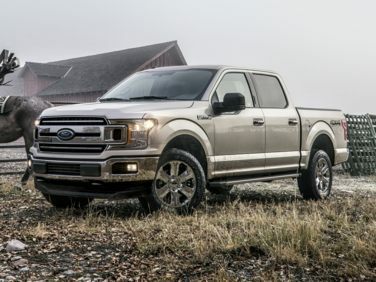 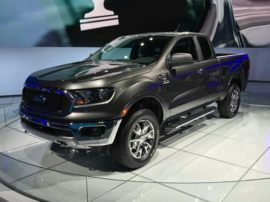 The standard features of the Ford F-150 XLT include 5.0L V-8 395hp engine, 10-speed automatic transmission with overdrive, 4-wheel anti-lock brakes (ABS), side seat mounted airbags, Safety Canopy System curtain 1st and 2nd row overhead airbags, airbag occupancy sensor, air conditioning, 17" aluminum wheels, cruise control, ABS and driveline traction control, four-wheel drive. 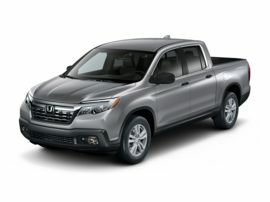 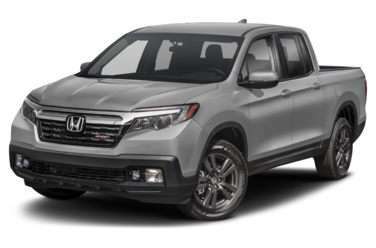 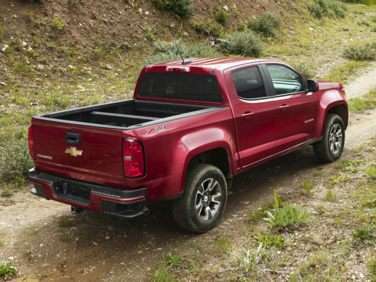 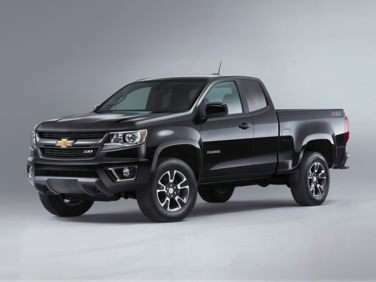 The standard features of the Chevrolet Colorado Z71 include 3.6L V-6 308hp engine, 8-speed automatic transmission with overdrive, 4-wheel anti-lock brakes (ABS), side seat mounted airbags, curtain 1st and 2nd row overhead airbags, airbag occupancy sensor, automatic air conditioning, 17" aluminum wheels, cruise control, ABS and driveline traction control, four-wheel drive. 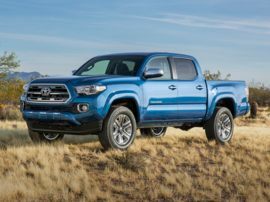 The standard features of the Toyota Tacoma SR5 V6 include 3.5L V-6 278hp engine, 6-speed automatic transmission with overdrive, 4-wheel anti-lock brakes (ABS), side seat mounted airbags, curtain 1st and 2nd row overhead airbags, driver and passenger knee airbag, airbag occupancy sensor, air conditioning, 16" aluminum wheels, cruise control, Dynamic Radar Cruise Control distance pacing, ABS and driveline traction control, four-wheel drive.